Our school year goes from January to October, so that means our current school year is still pretty new.. I realized that with our math that we were starting, the kids needed some sort of review and introduction into what they were going to be learning next. HelpTeaching.com saved the day! I have their Pro Plan which is a year long subscription which I now know will come in even more handy than I thought! I will explain why in a minute.. I originally logged on and clicked on the tests and worksheets button. I love how everything is broken down by grade as well as by subject. My kids are all over the place on their math so I was able to print worksheets from various grades for each kid, perfect!! Some were review sheets and some were things that they were just going to start learning, so it was a great mix. I printed off 4-6 lessons for each kid and stapled them together. They also have the answer key you can print off as well….which I did! After the kids did their little math packets, I logged back on and was amazed at all that the site included! I mean, I would have been happy with just the math section! 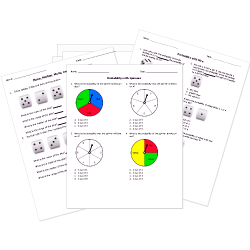 There are actual lessons as well as the worksheets you can print! This is exciting! Because sometimes the kids don’t really get the way I explain things, and the lessons section has videos that explain things in a way that they may understand much better! For example, since my kids are all older, 7th grade to 11th, we are doing a lot with algebra. I had clicked on the Radicals and Rational Equations that mentioned it was for 11th grade, that works! There is a little introduction that tells you a little bit about what you are learning and then gives a link to some practice questions to try and solve. Then, there is a video that you can use. The man speaking is very easy to understand and reviews a little of the basic algebra rules before going into what the lesson is about. After that is another link to go and try some of the same sort of problems. At the very bottom are links to related worksheets and some additional resources. It is all very simplified and easy to read, and I love how it is all put together just on one page of the site! You only have to click away to get to the worksheets and such and even then it just opens in a new window. It is set up for maximum ease for the user! Now, my brain can only handle so much math, it is much happier with using the other side, but I did check out some of the different sections on the site. I was happy to see they had English/Language Arts as well as Science! If you are familiar with upper level Apologia sciences, you know they can be a little overwhelming.. Ryan is doing Chemistry this year and we are all left scratching our heads with that sometimes! I was very happy to see a science section! haha! In my opinion, this is all laid out so well! It is first broken down into type of science. In this picture you can see Astronomy and Biology. It lists the lesson names, grade level and how long it will take. You can then click on the assign button off to the side. That will send it via email or with a direct link that you can use and the child will get ad free lessons on their videos, except for some 3rd party videos. You can fill in lesson instructions and then send it to your child however you’d like. There are so many things listed! Especially in Chemistry which, ahem, we will use quite often.. There are even some college level things in the list!! Now, I haven’t had the Pro Plan for long, but you can bet I am going to check out some of the other categories. Especially the ones that work the other side of my brain that I tend to favor, you know, maybe the Arts section next. 😉 They also have a game generator, but I haven’t been able to figure out how to work in bingo to our schooling just yet. The kids are older, but I bet I could think of something…. This is definitely something for kids of all ages. I like that it grows along with you and you aren’t limited to just one grade! My kids do all sorts of different grade levels, so this works out for us extremely well! I am so thankful for being able to check out HelpTeaching.com and I will be using it for a long time to come! If you want to see what other people thought of their time using HelpTeaching.com, feel free to click the banner below!